This retro radio project brings back old to meet the new. 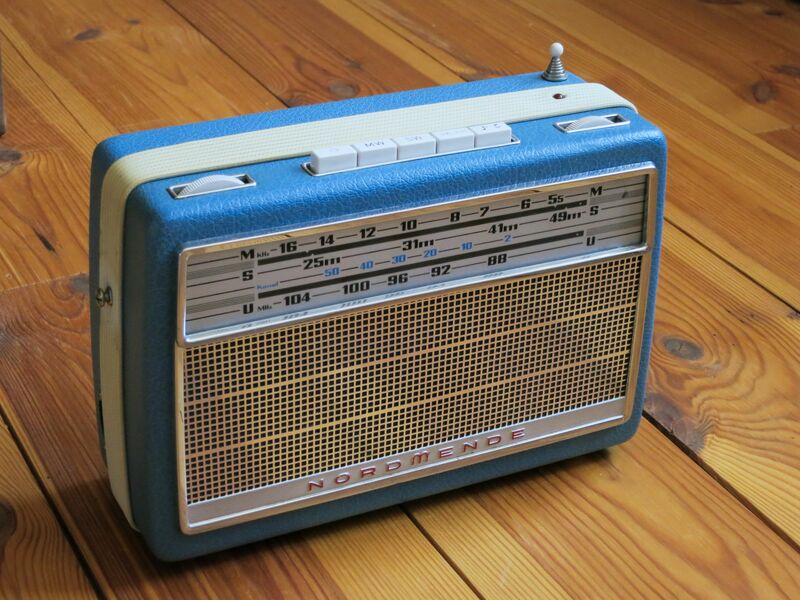 A trendy old radio that plays any music you want, not just the boring stuff that you can get through the radio waves! Select any old Radio of choice. These can be found everywhere; eBay, garage sales or your grandma’s basement. Don’t worry, they don’t have to be in working condition because all of what is inside them will be thrown out! Two old Radios found on eBay. Used the best parts of both for this project. A lot useless non-working stuff inside. Small amplifier (9 euro) that can be powered by USB (5V) and was even able to use the volume control of the old radio! Just soldered together provisionally. Mount for the Raspberry Pi! Two pieces of wood, two thread-inserts and two mainboard spacers. Poweron/reset-switch just has to be connected to the Paspberry’s P6-port, but for the power-off-switch you have to use a pull-up-resistor and write a small bash-script (inotify) to respond to that switch. To show if the device is switched on or to indicate triggered buttons. It’s controlled by a bash-script via the GPIO ports. GPIO connections to LED and power-off switch. Volume-control on the left, the power-off switch is the one with the circle and the power-on the one with the notes on it – the rest is not in use. Now you can have the best house cleaning day of your life with your own retro radio!